Rated 85 on the Flat, he won his first two starts over hurdles prior to disappointing in a Listed novice hurdle at Limerick. Made an impressive winning debut in a bumper at Leopardstown’s Christmas meeting. Made an encouraging debut when third to Blackbow in a bumper at Leopardstown’s Christmas meeting. A 142-rated hurdler, he won a Grade 3 novice hurdle and was placed in a Grade 1 novice hurdle last season. A 162-rated chaser, he came back from almost dying at the Cheltenham Festival in 2017 to win the Irish Gold Cup at Leopardstown in February. A 138-rated hurdler, he successfully stepped up in trip when winning a three-mile handicap hurdle at Gowran Park in June. A 140-rated hurdler, he won the Triumph Hurdle at the Cheltenham Festival in 2016 and has been running well without winning in handicap company of late. A 140-rated hurdler, he is unbeaten in two starts over fences including a Grade 3 novice chase at Tipperary in October. 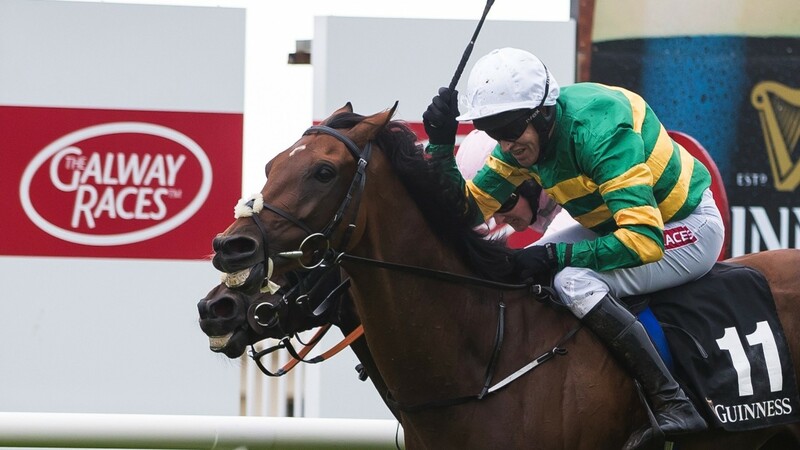 The winner of a bumper at the Punchestown Festival, he had previously shaped well on his hurdling debut in a Listed novice hurdle at Punchestown. A full-brother to the smart bumper performer Carefully Selected, he made a winning debut in a bumper at Galway in October. Won a bumper at Thurles in December and went on to finish second to Blackbow in a Grade 2 bumper at the Dublin Racing Festival at Leopardstown. A 133-rated hurdler, he returned from five months off to be touched off in a novice hurdle at the Punchestown Festival. A 137-rated hurdler, he made an impressive winning hurdling debut at Navan in December and ran well without winning thereafter. Made a winning debut in a bumper at Galway in October and went on to finish second in a winner’s bumper at Leopardstown’s Christmas meeting. A 143-rated hurdler, he produced a career-best effort when winning the Galway Hurdle in 2017 and has been mostly below form since then. A 143-rated hurdler, he won a Grade 1 novice hurdle at the Dublin Racing Festival at Leopardstown and went on to acquit himself well at the Cheltenham Festival and the Aintree Grand National meeting. Rated 101 on the Flat, he has won two of his four starts over hurdles and most recently finished second in a Grade 3 novice hurdle at Tipperary in October. A 135-rated hurdler, he won two of his four starts over hurdles last season and was placed in Grade 3 novice hurdle company. A 138-rated chaser, he finished second in the valuable Chanelle Pharma Handicap Chase at the Dublin Racing Festival at Leopardstown. 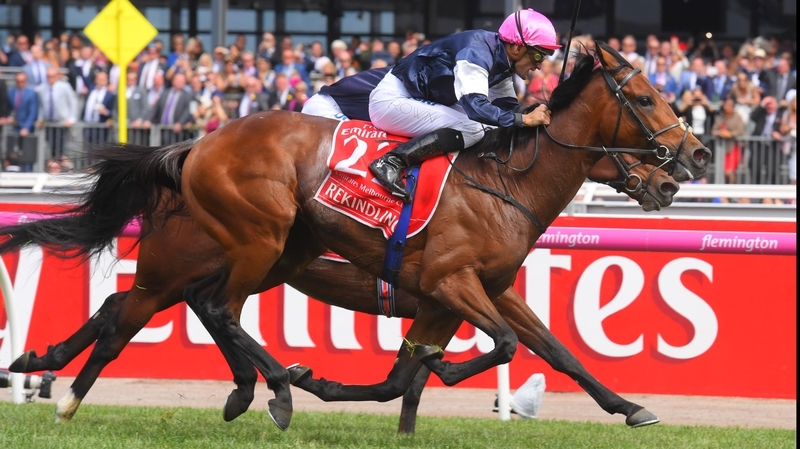 “He’s been a little bit disappointing in recent starts, but we’ll keep going with him in those good handicaps. We’ll change a few things with him at home and can hopefully get him back on track. 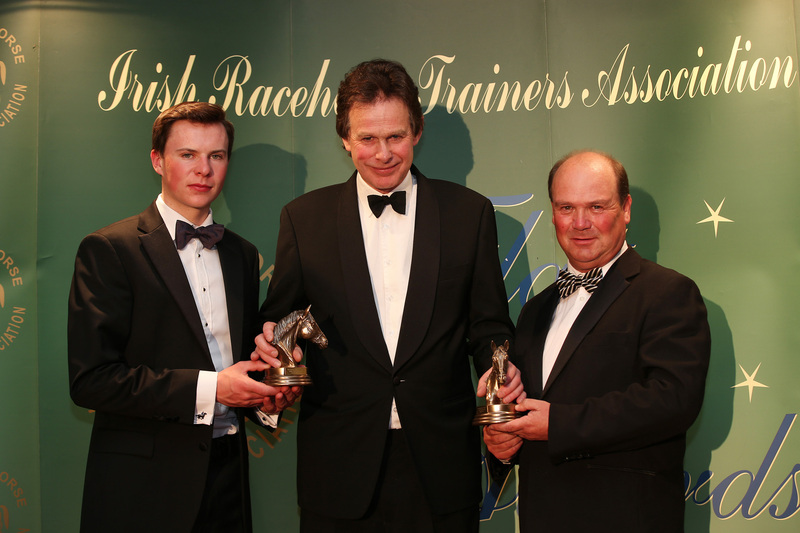 He potentially could be one to run over the Grand National fences at Aintree at some stage." 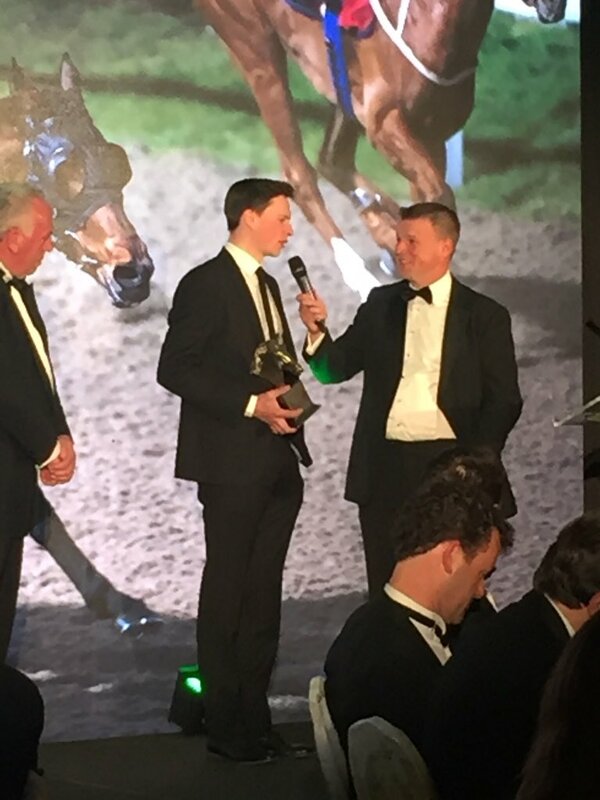 Joseph taking home the Dundalk Winter Series Champion trainer 2017/2018 at The Champions Dinner. 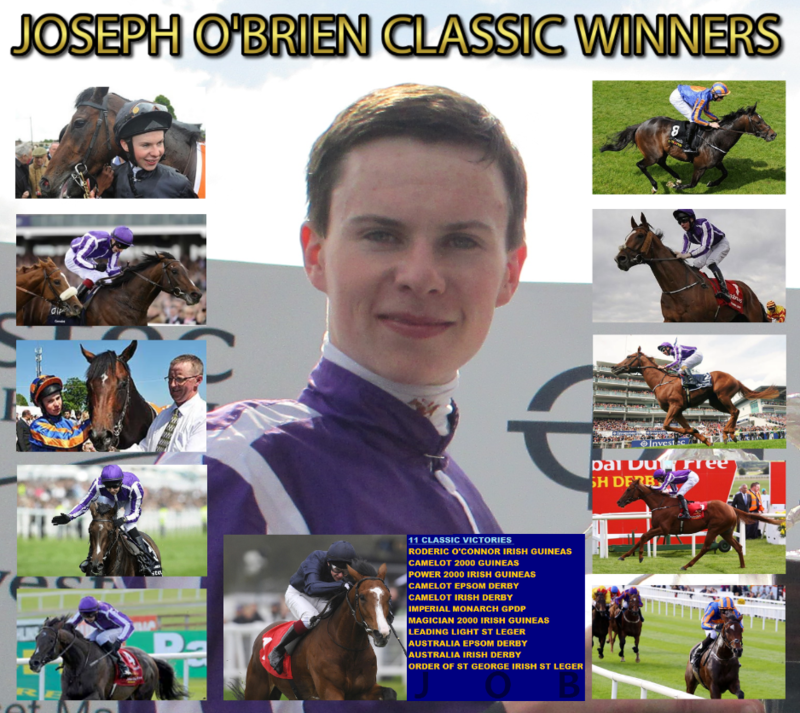 Group & Grade 1 win's come natural to Joseph either as a Trainer or previously as a Jockey. 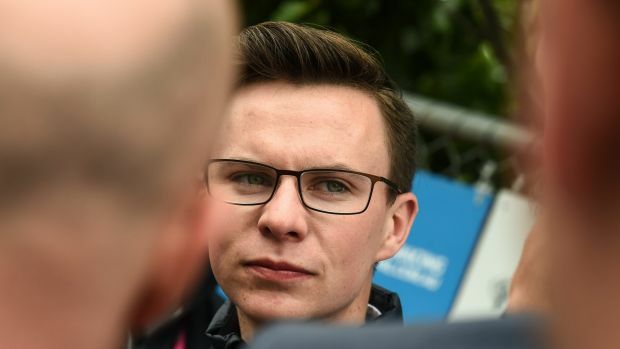 Joseph O’Brien’s fledgling training career is firmly in the ascendancy and here he runs the rule over his team of young and progressive National Hunt horses which could continue his upward curve in 2017/18. 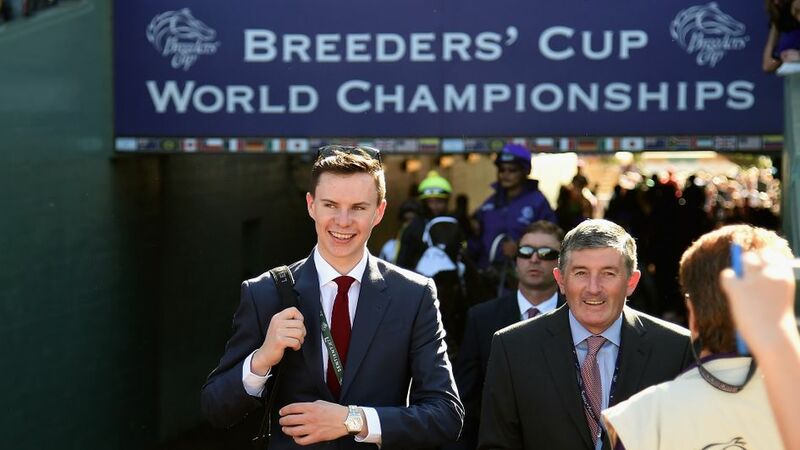 Joseph sat down with attheraces.com’s Kevin Blake to discuss his National Hunt team for the upcoming season. Rated 89 on the Flat, he made an encouraging hurdling debut when third in a winners-of-two juvenile hurdle at Gowran Park in September and built on that when winning a maiden hurdle at Thurles in October. He did well to win a maiden hurdle at Thurles the other day. His jumping was good early on, but he didn’t jump the last three hurdles perfectly, so he had to work hard and show a good attitude to get up and win by a nose. The winners-of-two juvenile hurdle at Down Royal on November 4th will be his next target and hopefully it will be on to the Grade 3 juvenile hurdle at Fairyhouse on December 3rd after that. He’ll definitely handle soft ground and I’d be hopeful he’ll be OK on proper winter ground if he ever meets it. A 138-rated chaser, he got off the mark over fences in a maiden chase at Kilbeggan in August and went on to finish a close second in the Kerry National at Listowel. He ran very well in the Kerry National, but he took a fall in the Munster National last time. He’s fine after that and we won’t rush him back, but the Cork Grand National on November 5th will be considered for him. Winter ground will be no problem for him. Rated 87 on the Flat, he won a maiden hurdle at Tipperary in July prior to running below form in a novice hurdle at the Galway Festival. 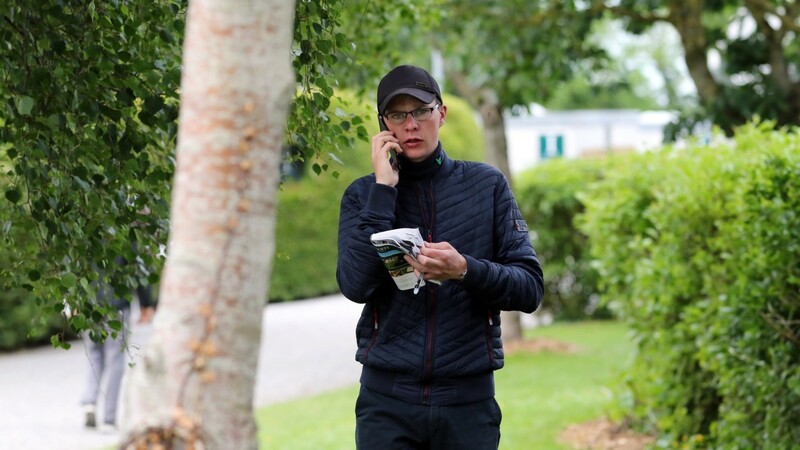 He just ran too free in the Irish Cesarewitch and didn’t get home at all. He’ll go back over hurdles soon and we’ll probably drop him back to two miles. He’s only had six runs in his life, so more racing experience will do him good. 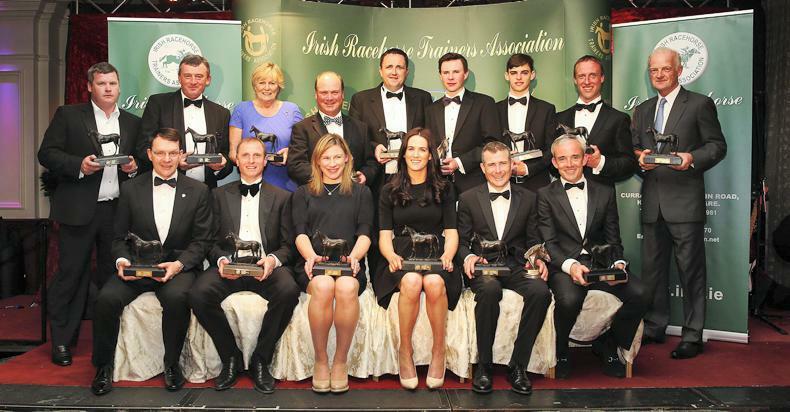 Made an impressive winning debut in a bumper at Punchestown in February and ran well to finish a close third in the Land Rover Bumper at the Punchestown Festival. He’s an exciting horse. He’s nearly ready to start off in a maiden hurdle and has been schooling well. We’ll probably start him off over two miles, but he’s one that could step up in trip in time. I’d be hopeful he can be a Graded novice hurdler. A 152-rated chaser, he overcame some jumping difficulties to come good over fences last season, winning twice including a valuable novices’ handicap chase at Naas in February. Well-fancied for the National Hunt Chase at the Cheltenham Festival, he collapsed after being pulled up on the run-in, but has since recovered. He had a very rough experience in the National Hunt Chase at the Cheltenham Festival in March where he looked to go wrong and was pulled up on the run-in. The vets said that what happened was basically caused by a lack of oxygen. He was trying so hard that he ran out of oxygen and his body shut itself down so that the oxygen could be diverted straight to his vital organs. He was very well looked after in the equine hospital in England and he went for a long break after he came home. He is back cantering with me now and looks great. We haven’t made a plan for him yet, but I’m delighted to have him back and for him to be looking as well as he is. Rated 61 on the Flat, she has won two of her three starts in juvenile hurdles. 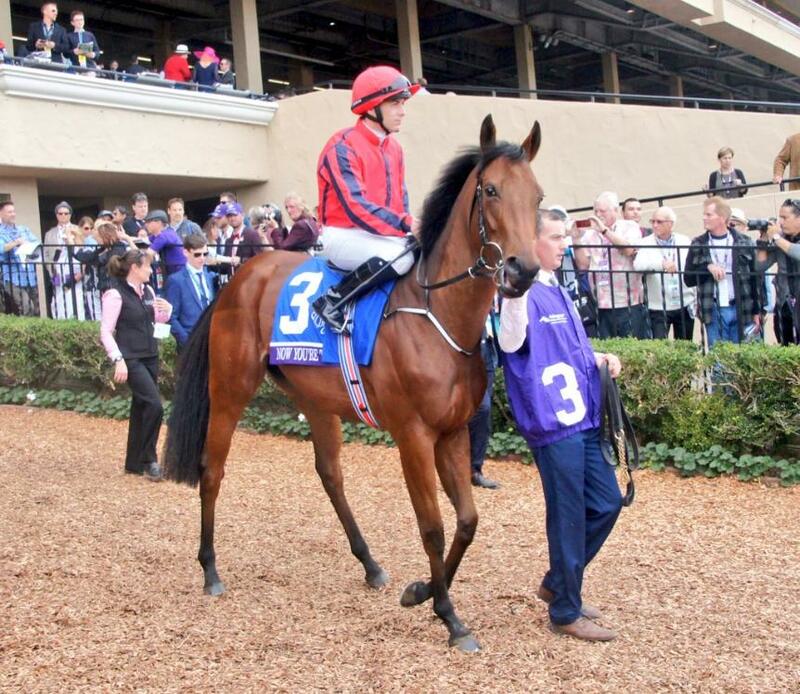 She has done very well to win twice over hurdles and she ran a nice race back on the Flat at Dundalk last time. She’ll either have another run on the Flat back on turf or she could go straight to the winners-of-two juvenile hurdle at Down Royal on November 4th. A 133-rated hurdler, he won a novice hurdle at the Galway Festival and ran well in Grade 3 novice company at Tipperary in October. He ran very well on soft ground in a Grade 3 novice hurdle at Tipperary last time. 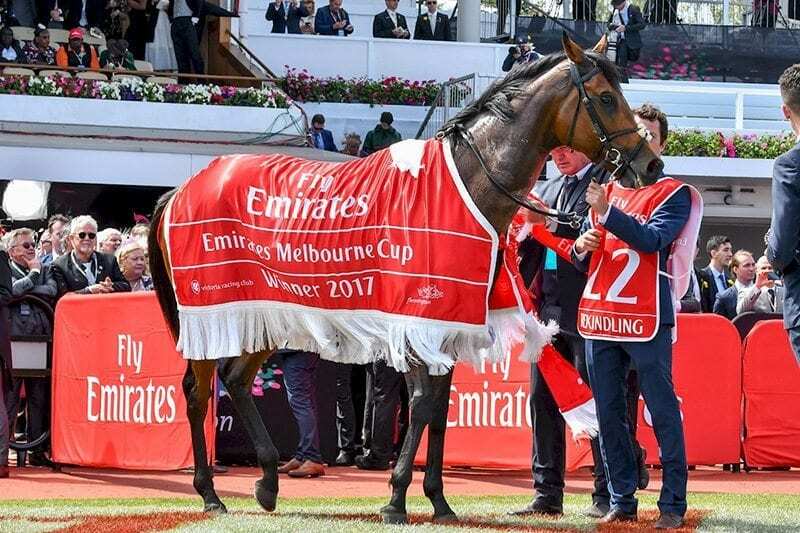 He has a few options between conditions races and handicaps in the next six weeks, so we won’t be in a rush to make plans for him. In an ideal world he’d get less testing ground than he got at Tipperary, but that’s the time of year we are in. A 150-rated hurdler, he won the Triumph Hurdle at the Cheltenham Festival in 2016 and he acquitted himself quite well in open Grade 1 company last time. He’s in very good form and looks brilliant. He’s about a month away from a run and he might mix it up between handicaps and conditions hurdles. A 133-rated chaser, he won a handicap chase at Leopardstown in January prior to finishing second in the Topham Chase at Aintree in April. 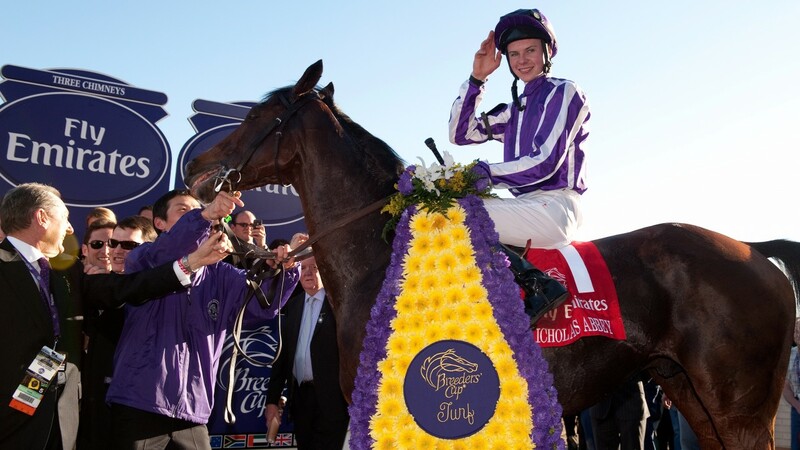 He has arrived in America to run in the American Grand National at Far Hills on October 21st. Conditions should suit him out there and it’s worth $400,000. If you aren’t in, you can’t win! A 144-rated hurdler, he has made a successful transition to chasing, winning two of his four starts over the larger obstacles including a Grade 3 novice chase at Roscommon in September. He has been progressing nicely over fences and his jumping is getting better with experience. We have him entered in the Buck House Novice Chase at Punchestown on Thursday and I’d say he’ll keep going through the winter. Unbeaten in three starts over hurdles, most recently winning a novice contest at the Galway Festival. We think a lot of him and has the potential to be a very good horse. We gave him a bit of a freshen up after he won at the Galway Festival and the Royal Bond Novice Hurdle at Fairyhouse on December 3rd is his target. 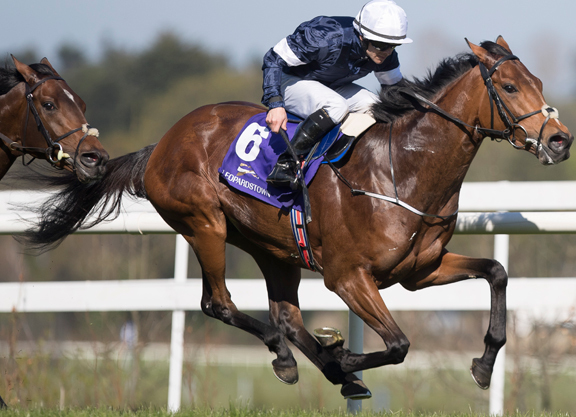 He could well have a run between now and then, possibly in the For-Auction Novice Hurdle at Navan on November 12th, but that decision will be taken a bit closer to the time. He could step up in trip, but we’re happy with him at two miles for the time being. Soft ground should be fine for him. 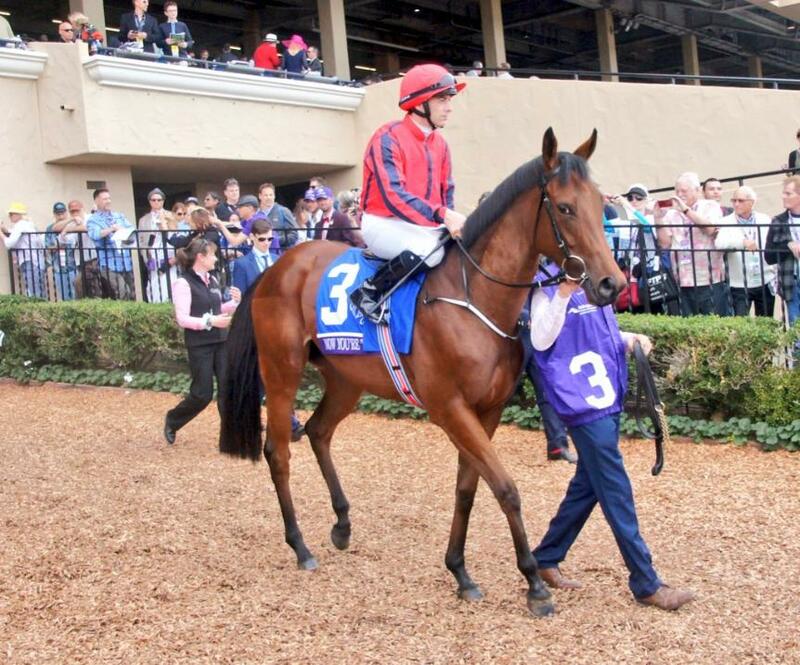 Made an impressive winning debut in a bumper at Limerick in March. He’s back in full work and is about three weeks away from a run. He’ll go straight over hurdles and he is one that shouldn’t have any problem going two-and-a-half miles in due course. A 138-rated hurdler, he finished second in a Grade 2 novice hurdle last season. He’s about a month away from a run and he is likely to stay over hurdles this season. He’ll probably be one for conditions and Graded races. A 123-rated hurdler, he has won three of his five starts in handicap hurdles and improved 21lb. He won his last two in good style and he is progressing nicely. I’m sure he’ll back up in trip at some stage, but hopefully he’ll just keep improving as he is for another while. It’s hard to say what has brought about the improvement as we haven’t changed much with him, so it’s probably just experience that has brought him on. Long may it continue! Made a winning debut in a bumper at Limerick in March. He won a bumper last season and is just about ready to start off in maiden hurdle. He might start out over two miles, but he should get two-and-a-half miles in time. A 144-rated chaser, she has won three of her nine starts over fences including a Grade 3 mares chase at Fairyhouse in April. She was disappointing in the Munster National, so we are going to freshen up aim her at the Listed mares chase at Clonmel on November 16th. The first foal out of the smart race mare For Bill, he made an impressive winning debut in a point-to-point at Kilworth in March prior to changing hands for £220,000 later that month. He won his point-to-point for the Doyle’s and is just about ready to start off in a maiden hurdle. He’s a nice type of horse that should stay quite well. Made a winning debut in a bumper at Galway in October. He won his bumper very nicely and we think a lot of him. I’m not sure where his next run will be, but we won’t be going novice hurdling with him until next season for sure. He’s a lovely horse. 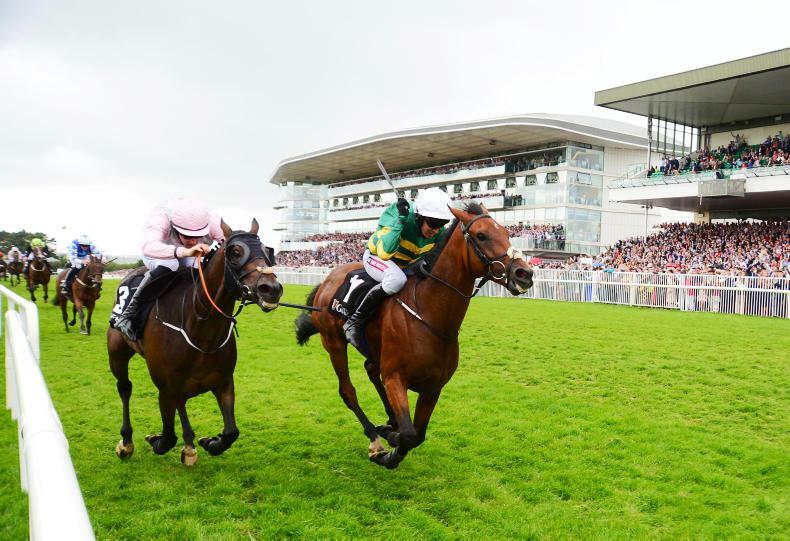 A 150-rated hurdler, he produced a career-best effort when winning the Galway Hurdle in July. We freshened him up after Galway and he’s in great form. He has plenty of options, but the Greatwood Handicap Hurdle at the Cheltenham November meeting is being considered as his next start. The stiff two miles there would suit him and hopefully he can find a bit more improvement. Has won two of his three starts in bumpers this year. He won his two bumpers very well and the plan is to go hurdling with him in the coming weeks. How he handles the softer ground will dictate whether we give him a break or keep going with him. 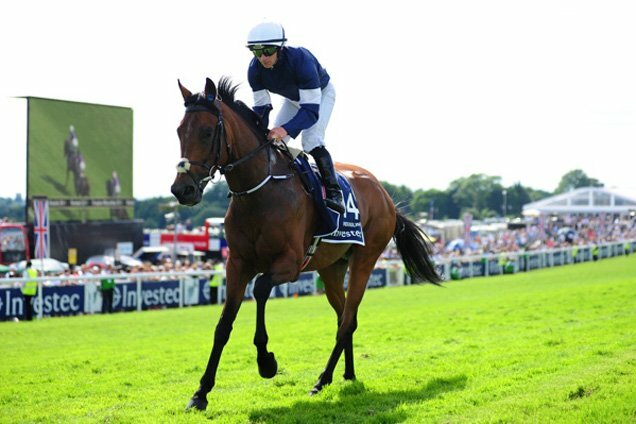 Rated 101 on the Flat, he won two of his three starts for Aidan O’Brien in 2016. He is nearly ready to start off in a maiden hurdle. He has done plenty of schooling and seems to enjoy it. He should handle soft ground and we are looking forward to him. The winner of a bumper last season, he made a winning hurdling debut at Gowran Park in September prior to running below form in a Listed novice hurdle at Limerick on his next start. He won his maiden hurdle well, but was a bit disappointing at Limerick last time. We won’t rush him back and will find another novice hurdle for him. I’d be hopeful that his jumping will progress with racing.